Colorado’s newest State Park opened in 2013, offering 18 miles of trails as well as picnicking, fishing, and horseback riding. This historic property belonged to the Staunton family in the early 20th century, and they built the Staunton Ranch from an initial 60-acre parcel into 1,720 acres of beautiful mountain landscape. The ranch was transferred to the state of Colorado in 1986, and the state added 2,080 acres of adjoining ranch land to create and provide access to the present-day park. 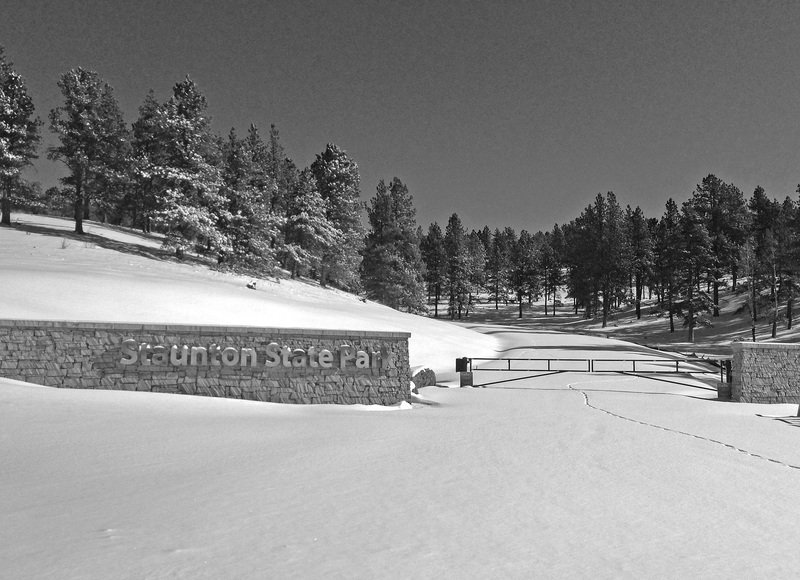 Read more about the history of Staunton State Park, from Historically Jeffco 2013.